AS A FULL-TIME HOUSE SITTER my storage unit is very important to me. My storage unit is in Albuquerque, New Mexico, a place I go to visit family for the holidays . . . and to change seasons. Changing seasons for a house sitter is something like putting your winter clothes in the attic and bringing your summer clothes downstairs. Except, for me, it all takes place at an upstairs unit at ExtraSpace Storage. Which can be challenging, depending on the weather. A good cup of coffee—and the right coffeehouse experience—can make these transitions feel a lot more fun. That’s why I love Duggan’s at 2227 Lead Ave SE, Albuquerque. It’s about as far from the chain experience as you can get. When I was in Albuquerque at Christmastime, I met a client for coffee at Duggan’s. I ordered my favorite: breve cappuccino. 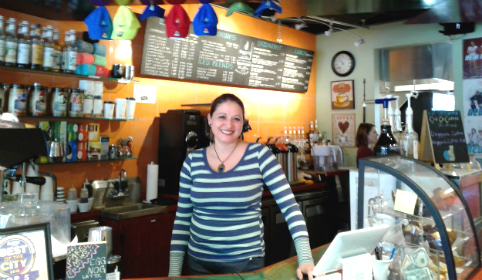 Our beverages were made with a smile by Carrie Ann, and she added lovely barista art to the foam on my cappuccino. 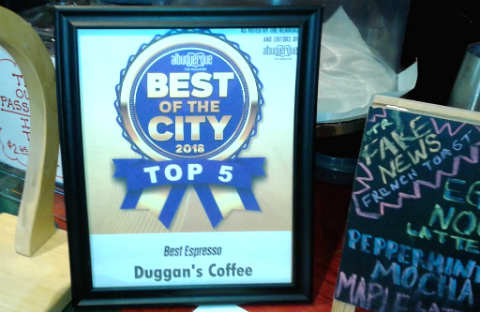 Duggan’s is one of Albuquerque’s five best coffee shops, according to Albuquerque the Magazine. Here’s their award for Best Espresso. Last time I was there it was a rainy winter’s day, but for sunny days you’ll find plenty of outdoor seating under big green umbrellas. Parking can be an issue. If you’re meeting someone, allow extra time to hunt for a parking space. 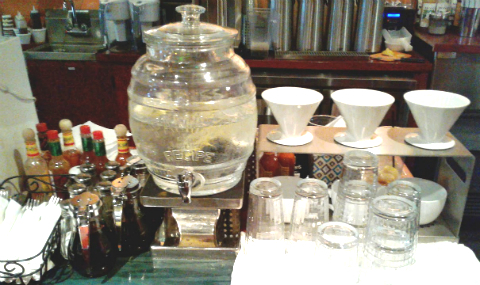 Duggan’s Coffee is off the beaten track, away from downtown, part of the university area without being dominated by it and has an intimate atmosphere. 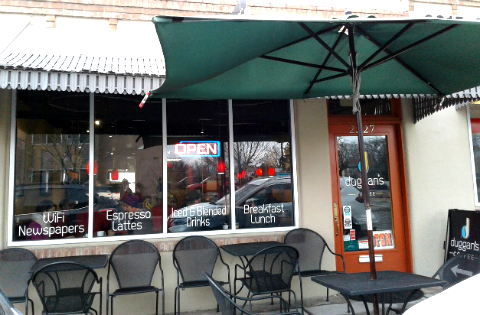 It’s the place to go in Albuquerque when you want that “cozy hideaway” feeling with your coffee. Nice to see another Milliver story. I just bought your book! Thanks for reading Milliver’s Travels! And thanks for buying the book.